The Binfield Heath Annual Flower and Companion Dog Show takes place each August Bank Holiday Saturday opposite Holmwood, Shiplake Row. Created more than 70 years ago, this is the biggest event that takes place annually in the village. 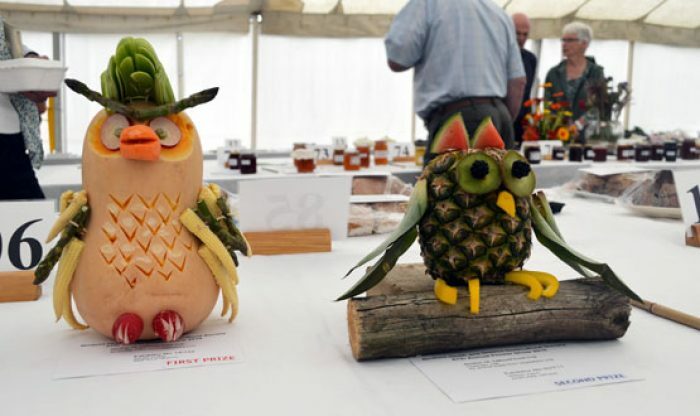 The show attracts a large number of visitors and is a great day out for all the family. It is a forum for local people to show what they can do in the many flower, vegetable, arts and crafts competitions. Sideshows, craft stalls, displays and exhibitions sit alongside the traditional flower and produce competitions together with children’s entertainment and competitions. Punch and Judy, face-painting and tractor rides are firm favourites. The companion dog show brings in many four-footed friends every year. Other local organisations, including the British Legion and the Henley Literary Festival team join in too. There is plenty to eat and drink, with teas, a barbecue, beer tent, and pop-up lunch venues. Top attractions include birds of prey, classic cars and lots more in addition to the music provided by local bands. Ample parking is free and close to the show ground.